Introduced at Fall Leadership Conference in Thunder Bay, these popsockets feature the Kin Canada logo. They attach to the back of your cell phone and allow you to hold your phone more easily and securely. It also functions as a mini stand, to prop up your phone hands-free, for ease of viewing the screen. Popsockets will sell for $10 each. 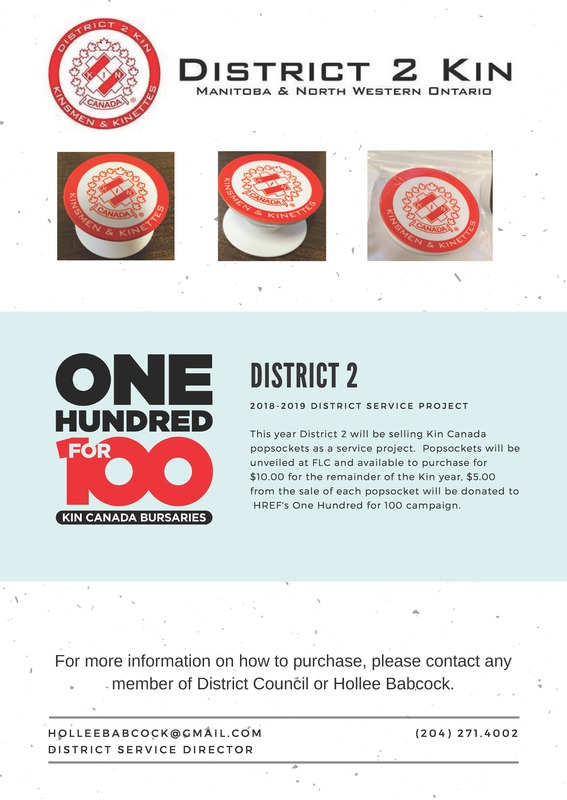 $5 from each purchase will go towards HREF bursaries, to help them achieve their goal of handing out 100 Kin Canada bursaries on our 100th anniversary! Contact Hollee Babcock if you or your club are interested!